HostMonster is an old name in the world of hosting and was established in 1996. It has since been providing professional hosting services to thousands of recognized as well as new businesses. It was acquired by EIG in 2015. 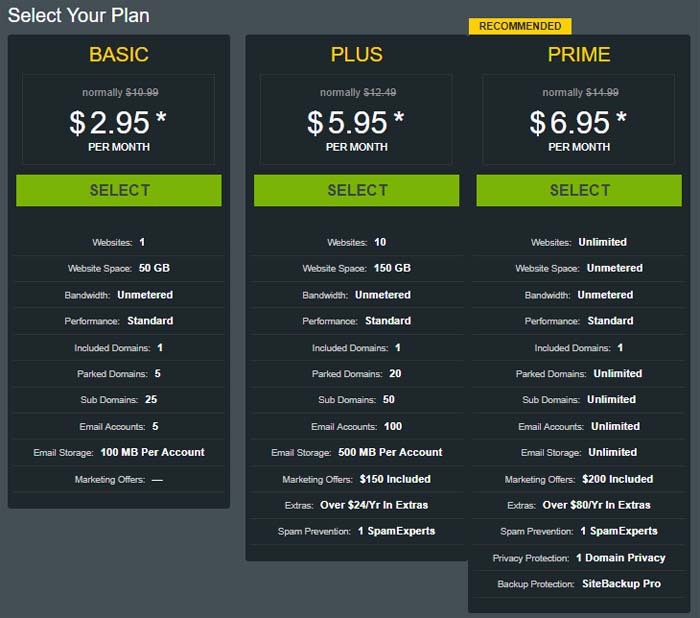 Website Hosting Plan Prime with Unmetered Bandwidth and Website space. 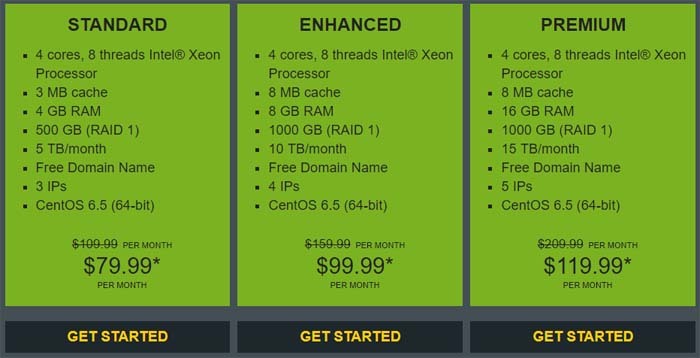 Take your plan of Basic Web Hosting with 50 GB Website space and 100 MB Email Storage per account. How long is the coupon valid for? When signing up for the first time at HostMonster, your promo code will be applied automatically. You will be required to choose your billing cycle. The promotional discount will be applied to that entire term. For example, if you selected 24 months (2 years), the discount will be applied to the amount due for two years based on the monthly rate. When will I be charged for my plan? HostMonster only allows annual subscriptions. In that, you can choose 1 year, 2 years or 3 years. The longer the term you select, the more saving you make. Your card will be charged upfront for the selected term minus the discount. Unfortunately, HostMonster does not offer monthly payments structure even though rates are calculated based on months. Do discounts only apply to the first term? Yes, the discounts are only applied to the first term of use. After the term ends, the plan will be renewed at the regular rates for the same term. Renewals are made automatically unless you opt otherwise after signing up for the first time. Does HostMonster offer Money-back Guarantee? Yes, HostMonster offers a 30-day money-back guarantee on its hosting plans. Plans can be canceled during the first 30 days of use for a full refund. This refund is only made for hosting services and not for any domain or add-on services you may have purchased (e.g. SSL Certificate). You may cancel your plan after 30 days but you will not receive any refund. Can I host my WordPress website at HostMonster? Yes, absolutely! You can host your WordPress website on HostMonster using any of the plans offered that suit the needs of your website. HostMonster does not offer a standalone WordPress hosting plan, however, their shared web hosting plans are great for WordPress websites. What tools are there for building a website? At HostMonster, you have a bunch of tools to build your website from scratch. The most popular application for this purpose on HostMonster is Weebly. Using Weebly, you can build your website simply by drag and drop. You can add-on premium features for an additional price as you wish for building your website and making it advanced. For e-commerce websites, you can utilize Magento. HostMonster offers a slew of features in its shared, VPS, and dedicated hosting. One of the highlights of the latter two hosting plans is instant provisioning. They are also known for providing robust security features on virtually all plans. The higher hierarchy plans offer even better security. If you are looking for quick setup, top security, and standby customer support, HostMonster is the answer. With their plans, you can also get a free domain. It offers Mojo Marketplace for those who want e-commerce and online marketing. The web hosting plans at HostMonster are designed to give businesses a professional hosting package with the integrity of service HostMonster is known for. All plans come with a free domain that can save new businesses money. The Prime plan can be made into the Go Pro plan that brings in a few additional features that can be very useful for any website. You can also get SSL Certification and Dedicated IP at $14.95 per month at a discounted rate. If you are looking for more control and guaranteed resources to begin with, HostMonster also provides Virtual Private Server (VPS) hosting. These plans have managed services and you get instant provisioning. The operating system is CentOS 64-bit.